You know who this is. Arnold Schwarzenegger is the best bodybuilder of all time. He's also one of the best action stars ever, as well as the Governer of California. Talk about putting your life to good use. He won the Mr. Olympia seven times, a few of them after hiatus and has probably inspired more people to work out than any other individual on Earth. 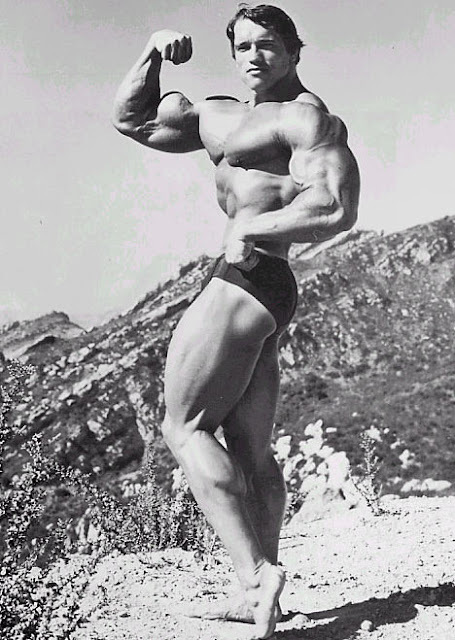 If you haven't seen Pumping Iron, I would suggest checking it out to learn more about Arnold. It's a 1977 documentary about the road to the 1975 Mr. Olympia competition and it shows Arnold and his competitor's lives as professional bodybuilders. This film single-handedly popularized bodybuilding and brought Arnold into the spotlight.